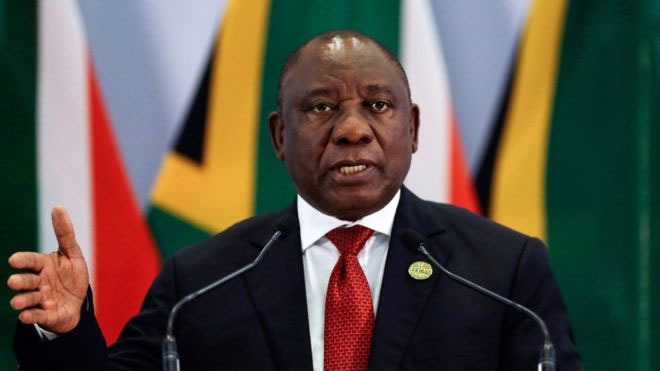 South African President Cyril Ramaphosa made reference to the statement of Ghana’s first President Osagyefo Dr Kwame Nkrumah some years back during the opening of the 2018 Forum on China-Africa Cooperation (FOCAC) in Beijing, China on Monday. He said the present African leaders had realized the importance of the wise saying of the former Ghana leader and had decided to embrace it to guide them to take right decisions to develop the continent. The high-level meeting was attended by President of China, Xi Jinping, Muhammadu Buhari of Nigeria and other Africa leaders, as well as business representatives from the continent. They were given the opportunity to make suggestions to improve relations between China and Africa in the near future. President Ramaphosa described China as a true and loyal friend of the African continent, recounting some of the important interventions that China made in recent times to support Africa in difficult times. “During the outbreak of the deadly Ebola in Africa, some of the countries clearly turned their backs on Africa but China responded by providing a whopping 1,000 medical personnel and medical aid worth US$120 million. “China has also provided 3,000 troops in six out of the seven United Nations (UN) Peacekeeping operations in Africa,” President Ramophasa added. He said that Africa values and appreciate the assistance of China. He also lauded China for introducing the Summit of the Forum on China-Africa Cooperation (FOCAC), stating that African countries have improved their roads, railways and health care through the forum, among others. The South African leader disclosed that China’s direct investments in Africa over the past three years have contributed immensely to the growth of the continent, stressing that Africa would continue to work closely with China in the coming years.